The Hub’s proudest contrarian has popped up in the current edition of The Weekly Standard’s ever-lively Scrapbook. If one good thing comes out of the Bill Cosby Crisis, The Scrapbook is fairly certain what it will be. 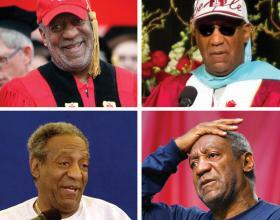 For as the New York Times reported in a recent story, the 60 or so institutions of higher learning in America that have, during the past few decades, conferred honorary degrees on Bill Cosby are now agonizing about what to do. Some have chosen not to act in response to the allegations against Cosby; others have officially revoked their degrees; still more have rules against such retroactive gestures. As readers might have guessed, The Scrapbook pleads the Fifth Amendment on this question. What colleges and universities do in these circumstances is their own business; and in any case, honorary degrees are essentially meaningless. How meaningless? Go ask Alex. Indeed, as the Boston Globe’s Alex Beam once memorably demonstrated, even Cosby’s “earned” doctorate in education from the University of Massachusetts is essentially honorary. In either case, memo to Mr. Beam: We read The Weekly Standard so you don’t have to. This entry was posted in Uncategorized and tagged Alex Beam, Bill Cosby, honorary degrees, New York Times, The Scrapbook, The Weekly Standard, University of Massachusetts. Bookmark the permalink.